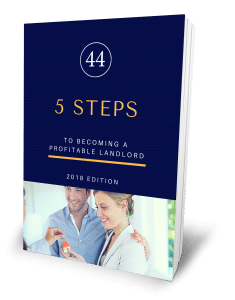 Pricing your rent incorrectly can take money directly out of your pocket which can really impact your property investing strategy. Knowing how much your property should be renting for is crucial to long term success. When it comes to understanding the correct asking rent, what you’re really looking to research is the market rent of that particular area and suburb. The following steps help to determine the right price to advertise your property for to secure the best tenant. The first thing every landlord can do is to jump online and look at the statistics for average weekly advertised rent, as this provides the overall average for an area, usually broken down into apartments or houses. You can also look at an area’s rental yield and vacancy rate to start building a picture in your mind about how fast moving your suburb is. If an area has a very tight vacancy rate, it suggests there is more demand than there are available rentals. In this environment, you are more likely to have several tenants competing for your property. The type of market will affect your asking rent for the home. Once you have a general understanding of your local area through the broader statistics, you need to take a specific look at comparable properties and what they are renting for. The local demographic may have an effect on the rent price. If there’s a significant upswing in families in your area, or singles, then it’s likely rent prices will grow in line with this increasing demand. There may be significant demand for three-bedroom family homes, but very little demand for small apartments. This is usually reflected in the rent. Start by looking online at available rental homes and noting down what their asking rent is, as well as details about the property, compared to your own home. When you put your property on the market for rent, you will be competing against these other properties. Pay close attention to the differences in rent for properties and how they compare to your investment. The best comparable is a rental that is close to yours, of a similar size and age and has similar improvements. By using these features, you should be able to determine whether the property is inferior or superior to the other homes you are comparing it to. This may be down to a difference of $5 a week. Lastly, but most importantly, speak to your property manager. They can provide rental appraisals which will be based on their own current experiences, the other properties they have renting on their books and their knowledge of real estate markets. An active property manager will also be able to tell you details that aren’t so easily discovered through online research. This could include recent increased rents by landlords on existing tenants. These lease renewals do not go online, so you might not be able to find out that tenants in similar homes are now paying $10 more. Or they might know that many homes of the same size as yours are soon to be listed, changing the supply and demand balance. They can also advise on whether cheap, fast improvements in presentation can get a good tenant through the door quicker and for more money. Ensure you seek advice from a property management agency before making up your mind about what rent your investment should achieve.